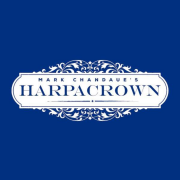 Mark Chandaue’s HARPACROWN comes in two different flavours. The STANDARD EDITION contains 260 beautifully illustrated pages of solid, practical and workable material from the mind of Mark Chandaue. The way Mark considers and builds routines is an absolute joy to experience. I can genuinely say it’s changed the way I perform for the better. You really can feel Mark’s incredible passion for our artform emit from each page. This volume will sit very comfortably amongst my prized possessions that’s for sure. This could be one of the major publications of the year. This will be the book to buy this year!!! Get this while you can, I love it already!!! The opening words come from one of my oldest and dearest friends in magic (and my former pupil) John Carey. A mentalism book needs a foreword from a mentalist and who better than Pete Turner, one of the cleverest guys around and more importantly one of my best friends and biggest inspirations. 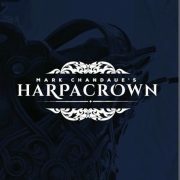 Within the introduction, the reader is presented with many interesting facts about Mark’s past, his father, and even the origin of the name Chandaue. There is a sense of openness and vulnerability that immediately made me want to learn more about Mark and see what he had to say about the art form that I love so much. It’s clear from the very beginning that Mark’s intent goes way beyond making a few bucks and that he’s willing to leave it all on the table in the process. Mark dedicates his second essay solely to his father, Ross. This man’s incredible story is inspiring to say the least. To describe him as strong and resilient would be an understatement. Just reading about Ross affected me. Mark makes it very clear that his father influenced him in a profound way. By the time I finished Mark’s sincere homage to his father, I felt a sense of respect and connection that is rarely experienced between an author and his reader. A very innocent and invisible coin switch that nobody, I mean nobody will see coming. It looks like you simply pick up a coin and display it in you clearly otherwise empty hand, and yet the switch is done. Phase 1 Prediction piece where you predict the date of a coin. Phase 2 Coin is then bent with no apparent moves. Very workable, easy method, and you get to see all the working behind this. If you like coin magic, and bending metal, you will love this. For coin guys that want to do coin bends, this is very workable. This is one that I will be using immediately within my repertoire. You ask a spectator to place all of their loose change on the table. They freely select a coin and place it inside an envelope. Inside the envelope is a prediction. You ask the spectator why he chose that coin and not the rest. At the end, when the coin is taken out with the prediction, the date on the coin matches the prediction. What I like about this is that you can spin this and make multiple variations. Great routine. Mark examines this topic of magician’s guilt in practical terms, providing real world examples and concrete suggestions for overcoming the negative impact this guilt can have on our performances. He addresses the pitfalls of blinking, over-justifying, and overcoming Magician’s Guilt. He even makes a great point in favor of abusing gaffs; something that I can certainly admit to not doing far too often. Let me tell you this routine is KILLER! Absolute Killer!!!! I read through the routine and could feel a grin starting to appear on my face, this is something I will most definitely use, uses multiple spectators to generate some very random lottery numbers, so gets multiple spectators involved always a plus in my opinion and hits them right between the eyes that you have predicted the numbers they would choose on a genuine lottery ticket!!!! A spectator makes a drawing on a business card and places it into their pocket while the mentalist’s back is turned. The mentalist duplicates the drawing. 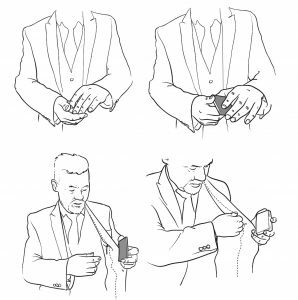 This routine covers four different handlings which cover different skill levels and performing scenarios. This is Marks take on Loochs Nod to Pocket Watch routine from his DVD Your thoughts are mine, as well as another principle that he combined from Peter Turner. This is a stunner. I have already performed it, and it gets gasps. You are able to accurately predict multiple things. So think of this as Nod to Pocket Watch with a twist, or to the nth degree. This is my take on Fraser Parker’s excellent Memoria. The effect is that a participant selects a card and thinks of a memory, the performer then reveals both. I loved Memoria but I had certain problems with it. There is a moment in Memoria where you whisper something to the participant. For me personally that whisper came at the wrong time. Also I wanted a reason to pick a card and a memory that makes sense. If you want a sobering wake-up about the ideal of “Going Pro,” Mark attempts to keep us grounded in the realities that go with living in the shoes of a professional magician/mentalist. Mark paints a clear picture of what being a professional requires and encourages the reader to do their homework before taking that leap. He talks about the business side of things and how it’s a much larger percentage than many realize. In the essay “Respecting the Art,” Mark talks about the value we assign to things. Mark discusses the value of secrets in magic and mentalism years ago when they were not as accessible to today when a dozen or fewer keystrokes and a click on YouTube gets you all of the secrets you could want. He makes many great points and shares some great advice in this thought provoking essay. This is my take on the Out to Lunch principle and includes three different effects. This is an update to the Out to Lunch principle that increases the number of possible outcomes. This chapter includes a very nice workable effect to demonstrate the principle but the possibilities of this system are endless. This is a simple way to invisibly get information from a spectator for free. It is one of those things that is very simple and yet very effective. The principle is illustrated with a real life performance story. With the essay “Making Sense of It All,” Mark redefines “magician thinking” with a story of his first magic convention. The theme of “Why?” also returns regarding motivation: How? vs Why? Mark also walks the reader through his creative process. This exercise is a great demonstration of how he is wired. Later in the chapter, he shares his refinements on a marketed effect. While you need to own the effect in order to use it, to call it a “refinement” isn’t exactly fair. Mark takes what was previously a bit of unjustified procedure and transforms it into a tool that can be used to stealthily gather information about a person’s memories, either as an effect or as a bit of pre-show. Really brilliant stuff. Thought stacking is a principle of using information you already know to obfuscate the method used to get information that you don’t know. It could be as simple as using some information gained earlier in place of the force in a Mental Epic routine, or as complex as intertwining known information into a progressive anagram. This chapter covers my take on some commercial effects. I do not cover the actual method for these effects. I merely offer a presentation, twist or enhancement. You will require an original copy of the actual effect to get any benefit from this chapter. The effects include Glance, Prevaricator, iForce, Directors Cut and MagicSMS. This chapter is called brain farts because the routines have not been fully audience tested and whilst I am unlikely to further develop these ideas I do feel that they have some merit and could be a great starting point for others to build on. It is fitting that the final words in this book should come from the person that convinced me to write it in the first place. 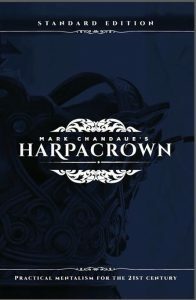 The HARPACROWN DELUXE COLLECTORS EDITION contains an additional 6 chapters..
An essay on making the most of of small pieces of information and structuring a routine to disguise even a simple method. Mark Elsdon consistently creates practical and workable routines and this one is a stunner. 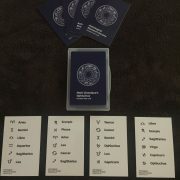 A three phase mentalism routine with coins where each effect is more impressive than the previous one culminating in a fantastic finale which leaves the final prediction on their phone as a reminder of the experience. Michael Murray’s genius is legendary and it is things like this principle that has justifyably earned him that reputation. This principle enables you to get so far ahead of the spectators its not even funny. Myke Phillips is best known for his work with the iPhone but his genius does not stop there. The Searchlight Princliple allows you to reveal the specific letter within a word that the spectator is thinking, you can then go on to reveal the entire word.